The School of Criminology and Criminal Justice at Arizona State University (ASU) and the Arizona Department of Corrections (ADC) are pleased to offer students the opportunity to enroll in the Inside-Out Prison Exchange Program. The Inside-Out Prison Exchange Program is unlike any other class offered at ASU. The semester-long course meets once per week inside a prison located approximately 60 miles south of Phoenix. The class combines ASU students with an equal number of incarcerated men at the Arizona State Prison Complex in Florence, Arizona. 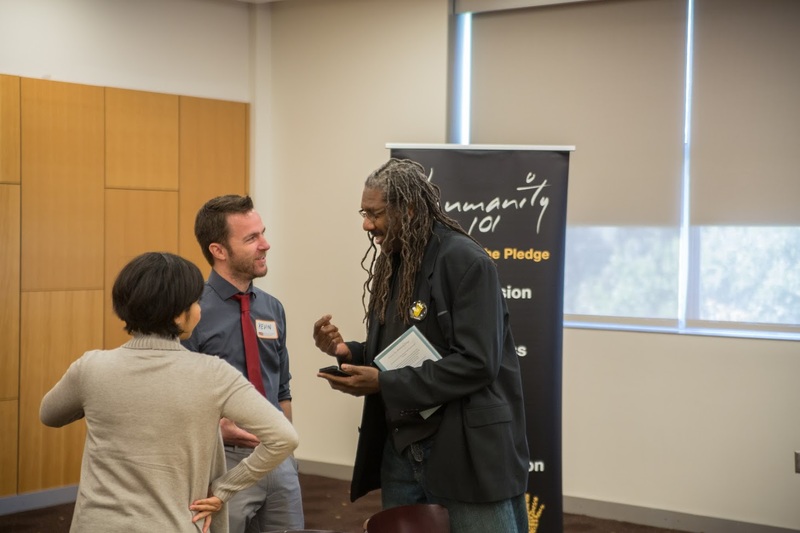 Both ASU and incarcerated students have the same syllabus and academic requirements, and students learn about crime and justice together through collaboration and dialogue. Inside-Out was founded by Lori Pompa at Temple University with the first class taking place in the Philadelphia Prison System in 1997. The program has since grown to include 565 trained instructors from 40 states and 6 countries reaching over 20,000 students. The Spring 2016 class was the first Inside-Out class taught in the state of Arizona. The course was offered once again in the East Unit of the Arizona State Prison Complex in Florence in Spring 2017. The program expanded to the North Unit in Florence in Fall 2017 and returns once again to East Unit in Spring 2018 and Fall 2018. Women & Philanthropy, part of the ASU Foundation, is generously funding the Inside-Out Prison Exchange Program for the Fall 2017 and Spring 2018 classes. This funding covers all course expenses and provides funds to implement class projects (see below). Computer company Insight has generously donated laptops for an Inside-Out Prison Exchange computer lab. The lab allows inside students in the course the opportunity to type course papers and use the laptops for class projects. Members of the ATP are actively involved in planning for Inside-Out courses. The ATP also assists in implementing Inside-Out class projects and has developed a survey to examine the impacts of the course. The culmination of each Inside-Out course involves students working together to design a project intended to improve the justice system. The project is organic to that particular class and addresses a problem that students have identified as deserving of attention. The projects are developed entirely by students, with the aid of course facilitators, and the final product represents the unique perspectives and talents of both inside and outside students. The projects are introduced to members of the prison and university administrations at the closing ceremony of each course. Members of the spring 2016 Inside-Out class designed three projects. Each of these projects has been successfully implemented to the programming of the Arizona Department of Corrections. The Arizona Transformation Project assumes responsibility for ensuring that these projects are implemented with fidelity and assists in making any necessary alterations to programming. Solution: Reintroduce the Impact of Crime on Victims Class (ICVC) to prison programming. Create an avenue by which incarcerated individuals can reach out to their victims and attempt to reconcile. Solution: Provide critical questions to be addressed by incarcerated individuals and their loved ones during visitation. Create packets to address life issues (e.g., family roles; housing and work) faced by families in an effort to strengthen family bonds. Starting in Spring 2017, students in the Inside-Out class have completed a survey designed to document the impact that the course has on inside and outside students. This survey is administered during the first and last classes of the semester—each of which the inside and outside students meet separately with the course facilitators. The survey includes attitudes toward the criminal justice system, measures of self-control and self-efficacy, and expectations for future behavior. All members of the ATP participated in the design of the survey and will be a part of the analysis, and reporting of survey results.